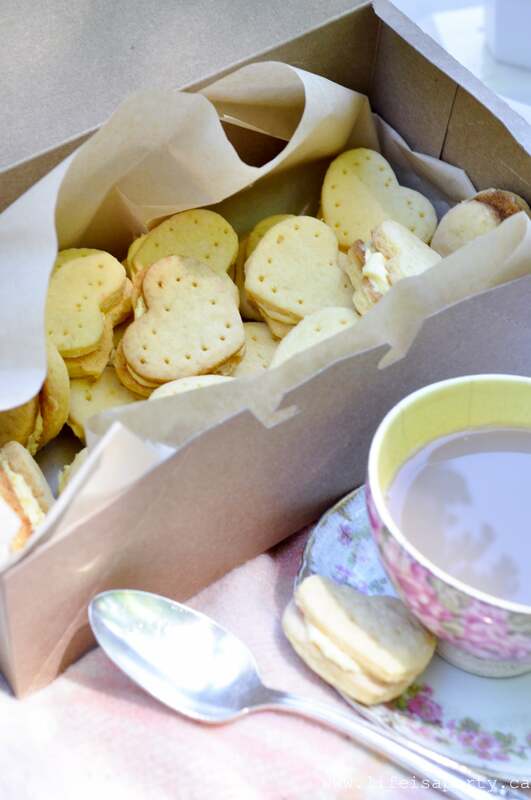 British Picnic: our romantic English inspired picnic menu includes tea sandwiches, home-made scotch eggs, scones and cream, shortbread, empire cookies, custard creams, vintage decor and lots and lots of tea. 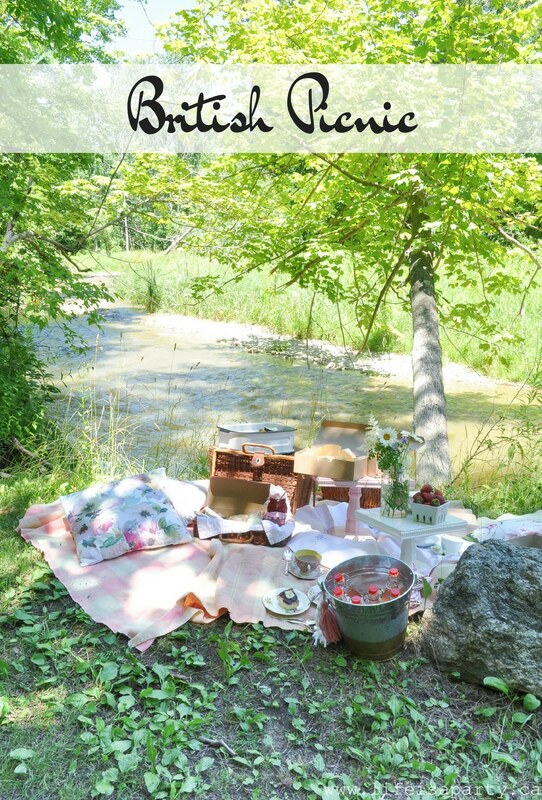 This summer I’m excited to share a series of picnics inspired by amazing food from different countries. 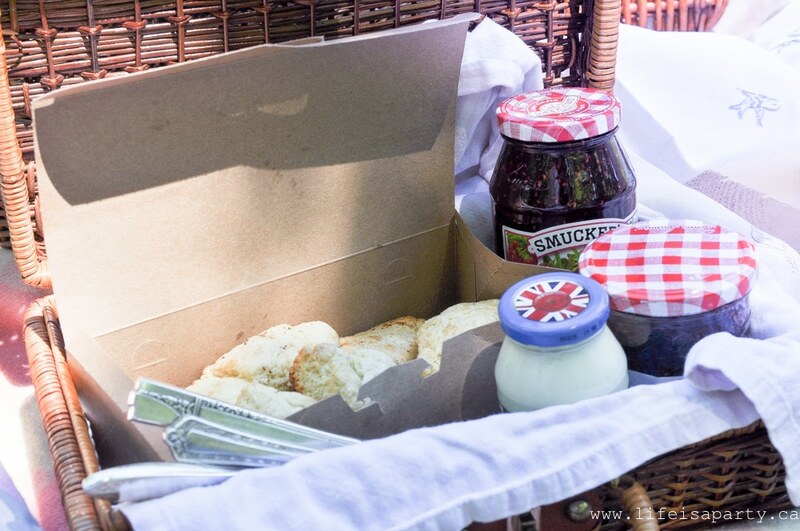 The first in the series is our British Inspired Picnic. 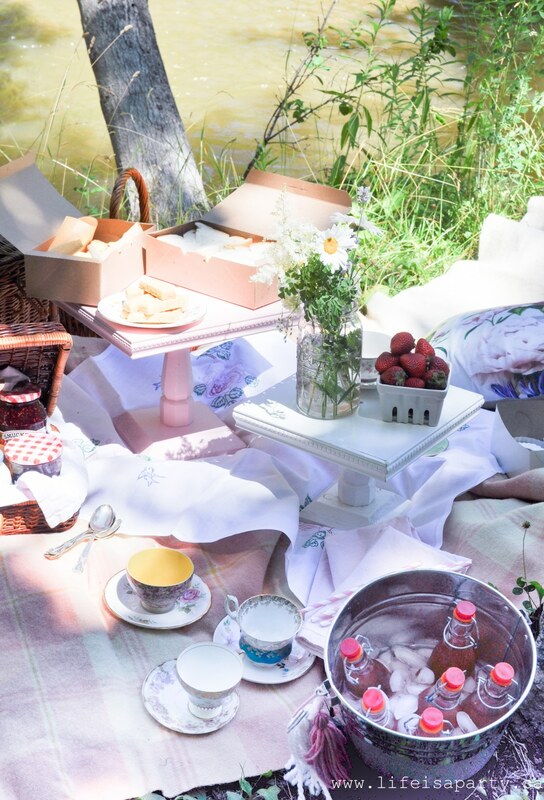 Who doesn’t love a tea party, and what could be better than a tea party in the most beautiful outdoor picnic setting? I set everything up on the bank of the river. 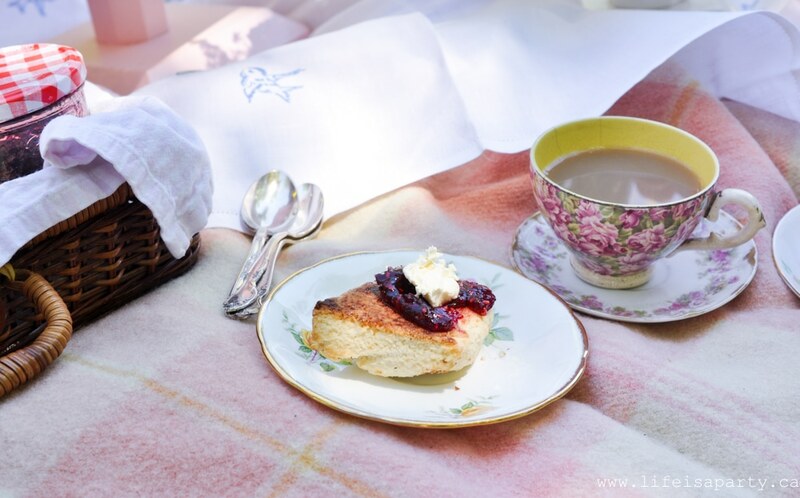 I started with some pretty vintage wool blankets -perfect for picnicking on. And I layered on a pretty vintage table cloth picked up at the thrift store. 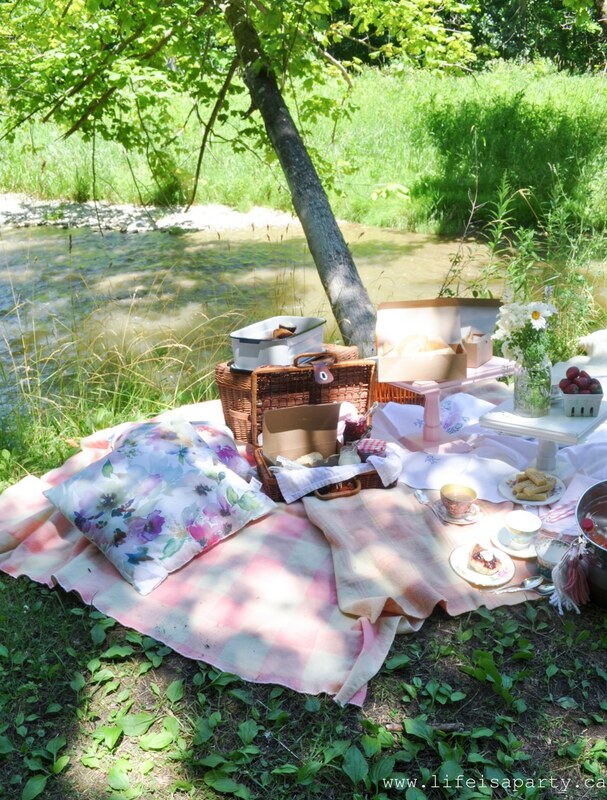 A British Picnic is the perfect excuse to bring out all the pretty, and vintage pieces you have. We used our wagon to transport everything along the path through the woods to our perfect little spot. 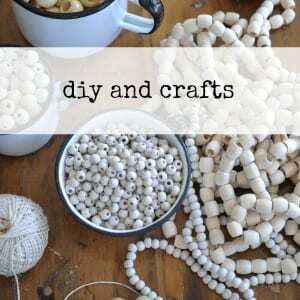 It was fun to use all my pretty bits and pieces. 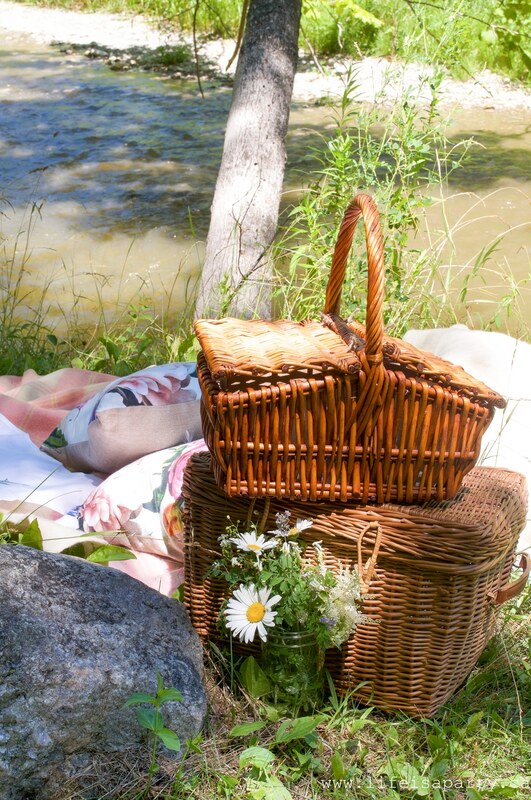 A real favourite are the wicker picnic baskets. Most have been picked up at thrift stores over the years. 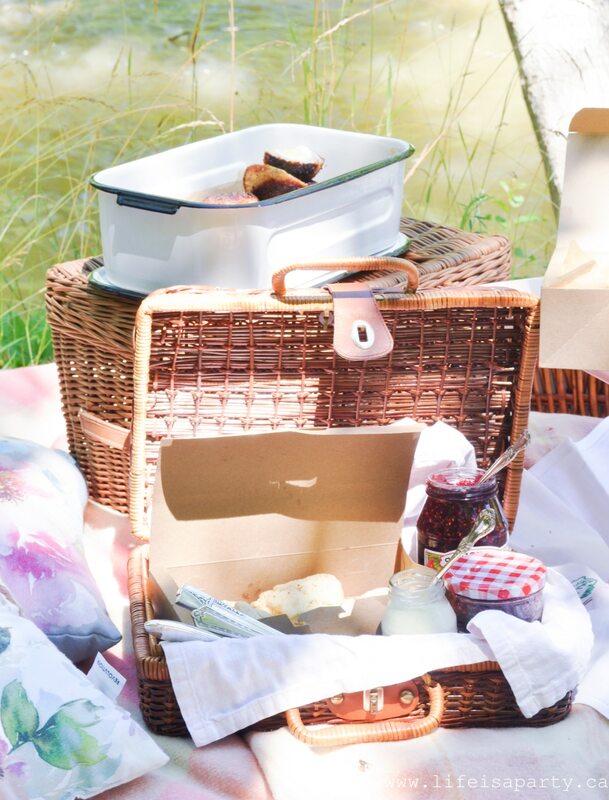 What could be more British feeling than a perfect picnic hamper? 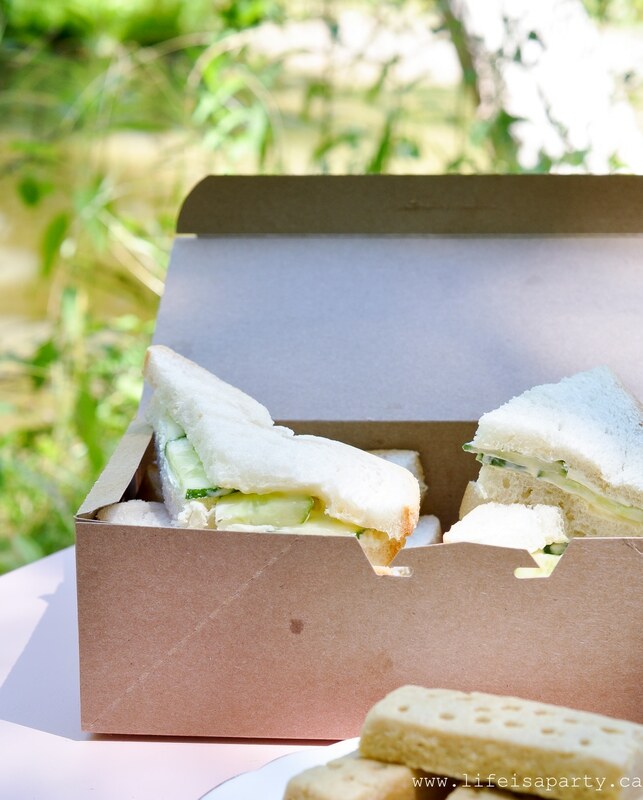 We started out with tea sandwiches. I made easy cucumber sandwiches, and egg salad on mini croissants. 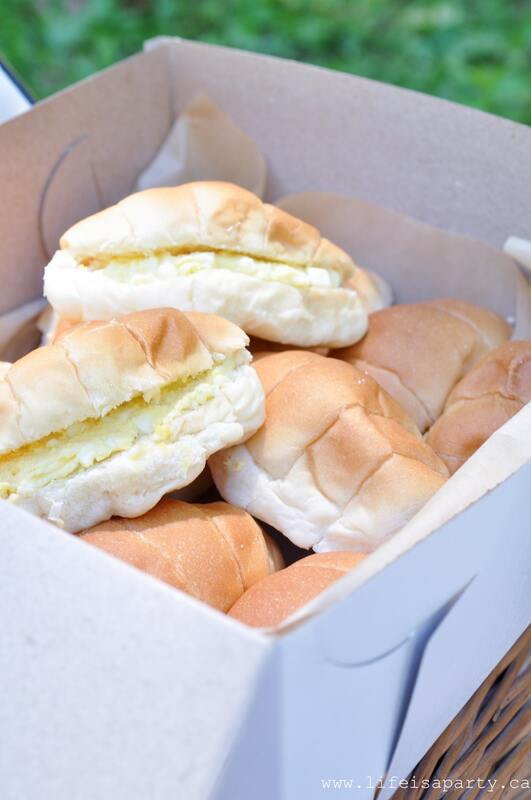 Paper bakery boxes made transport easy. I also used a few vintage enamelware refrigerator boxes that I had. 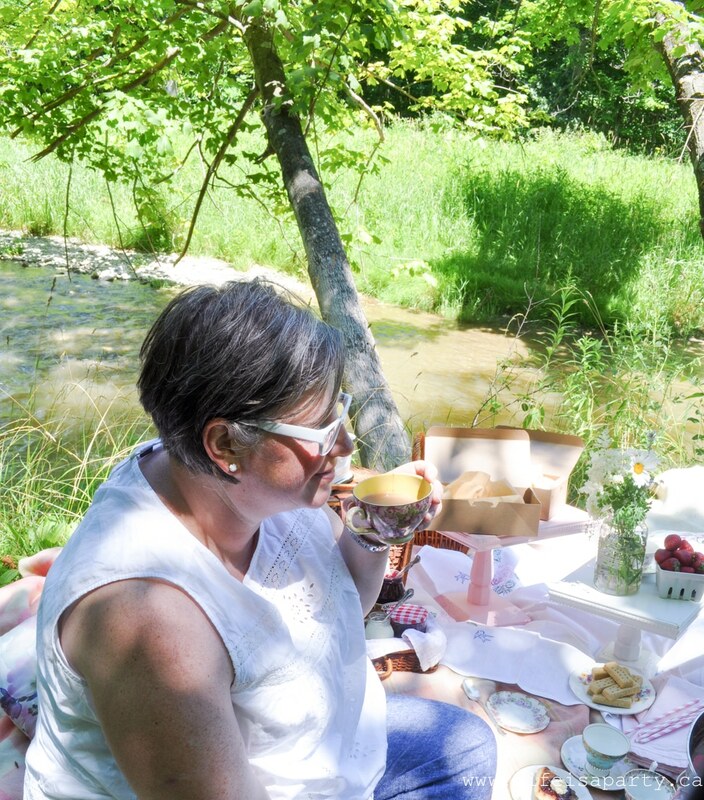 The sausage rolls are from a local favourite bakery, and perfect for a picnic. We also made some homemade scotch eggs. 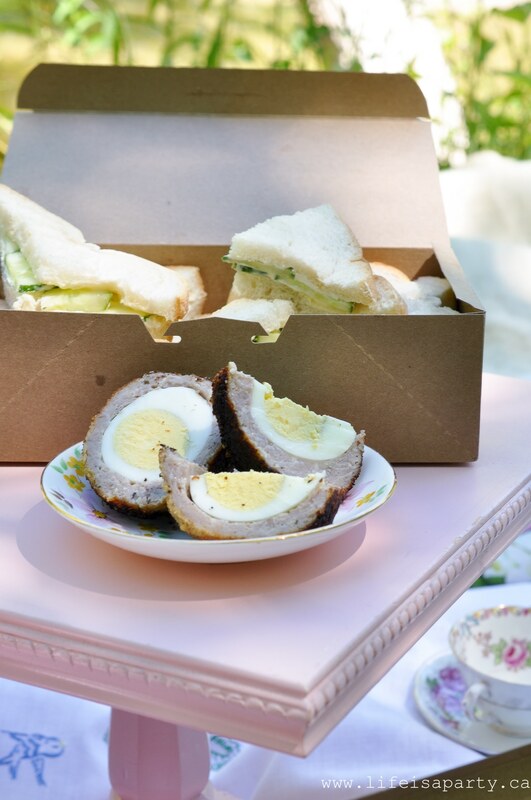 Scotch Eggs are traditional British picnic fare. They are basically hard boiled eggs wrapped in sausage meat. 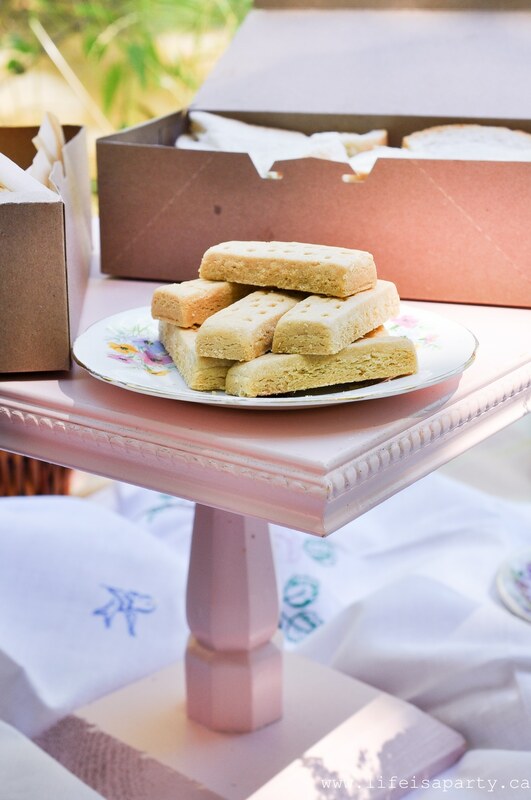 They’re perfectly portable and so delicious. 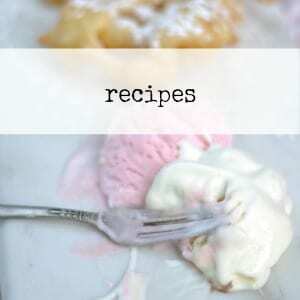 I’ll be sharing the recipe for these on Thursday, so you can make your own. We had to have the traditional scones and clotted cream too. 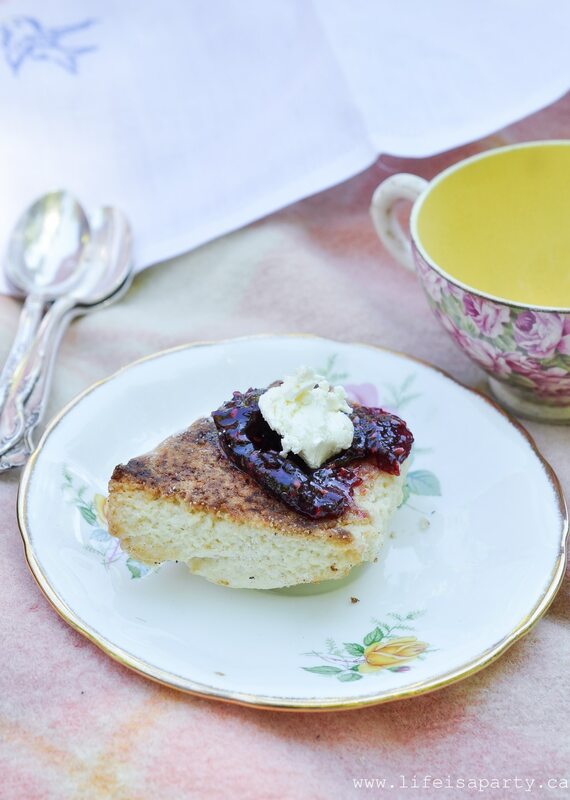 We made the scones, and brought along some jam and clotted cream. The cream can be hard to find. My local grocery store is stocking it these days, but you can also find it on Amazon -click here. 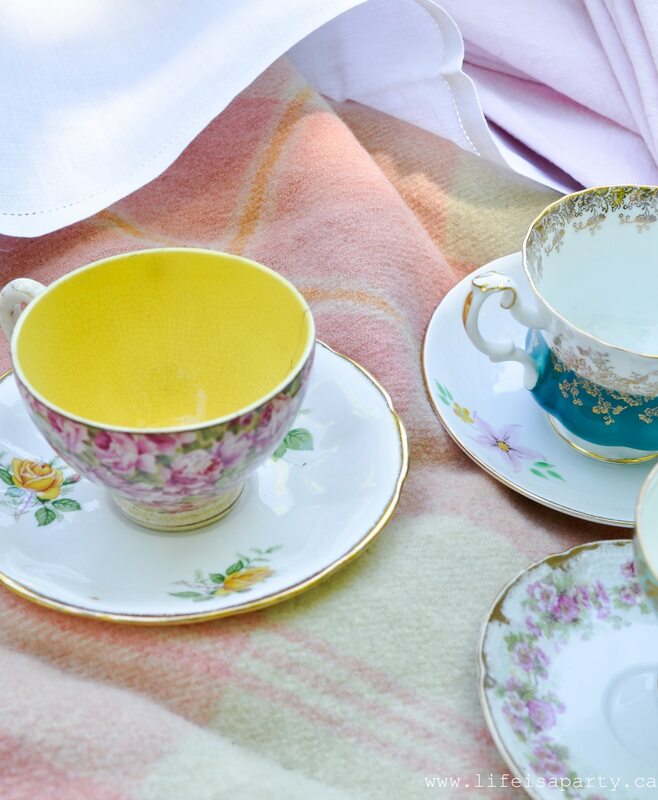 We couldn’t have a tea party without tea of course. We made a thermos of tea and enjoyed it with our sweets all afternoon long. I used some mismatched teacups, again picked up at thrift stores over the years. They weren’t precious ones, just incase something got broken, but they added so much charm to our picnic! For the girls, and because it was a hot day, I also brought along some lemonade. 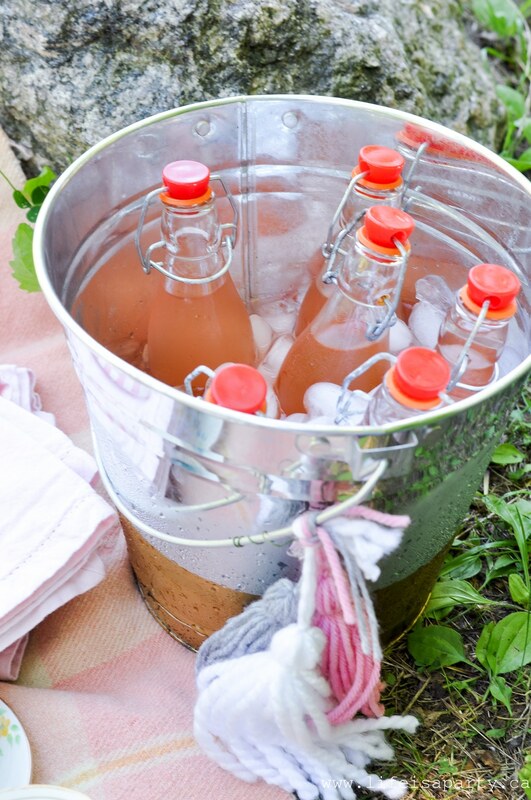 The re-usable bottles are perfect for picnics. And instead of an ugly cooler, I used a pretty galvanized bucket filled with ice, which worked perfectly. 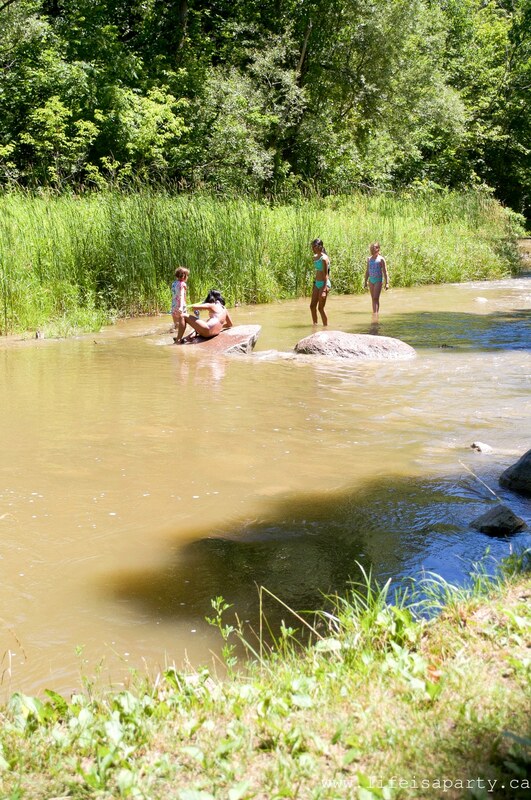 The cold drinks were very welcome on a hot day….although after spending hours in the river the girls might have preferred hot chocolate at the end of the day. For dessert, we had to have some fresh strawberries. 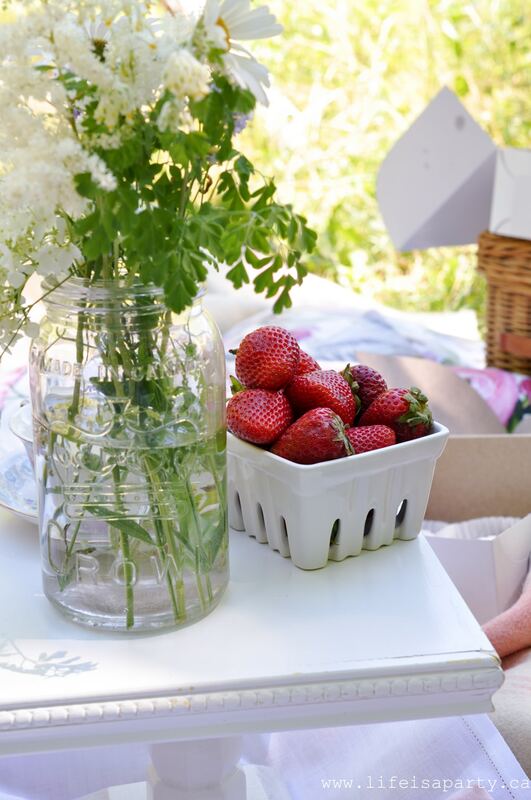 What is an English summer without strawberries? There were also lots of baked treats. When I picked up the sausage rolls at my favourite local bakery I also picked up some Empire cookies -a real favourite of mine. 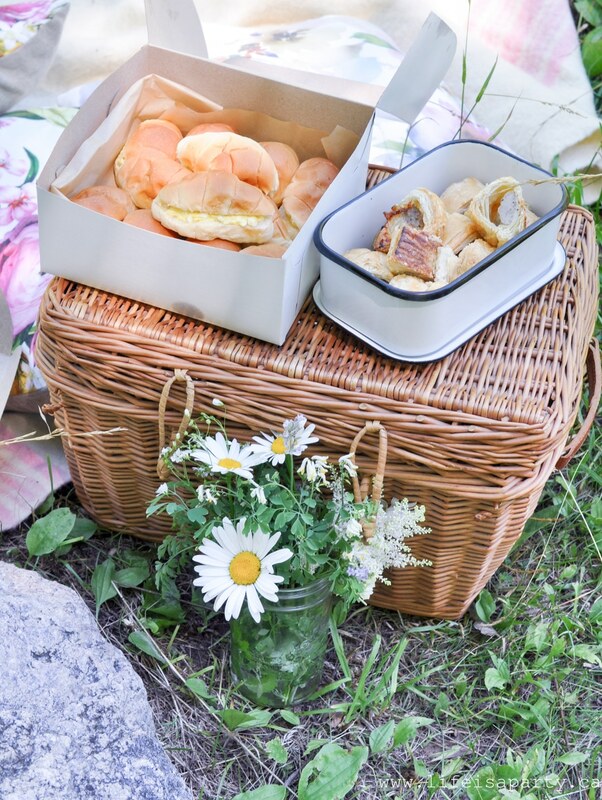 And here’s a great tip for your picnic planning -make it easier on yourself by picking up some of the food and not making everything yourself. 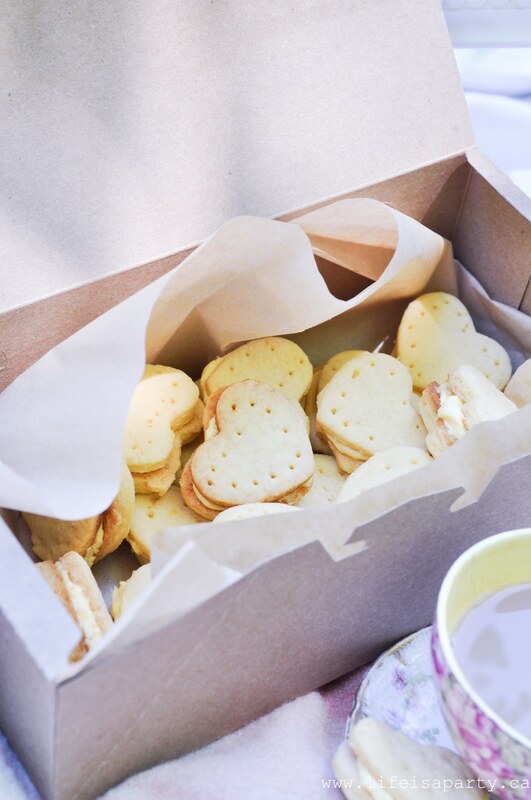 Another store-bought treat were some shortbread cookies. All these goodies, some of our favourite people, and the loveliest setting made for one of the nicest afternoons that I’ve had in ages. 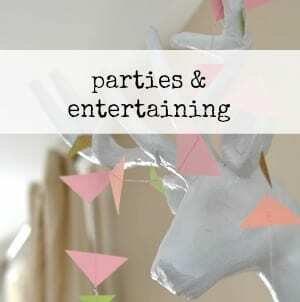 Quite awhile ago, I asked some of my readers over on Facebook “what keeps you from entertaining more?” The most popular response was “my home”. Some people felt they didn’t have enough space for entertaining, others felt like their house needed some fixing up and renos before they’d feel comfortable entertaining, and others said it was just too much effort to get the house all clean and “company ready”. All very understandable reasons. 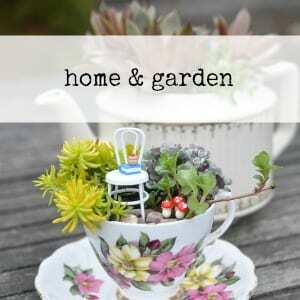 And it got me thinking about how you can entertain outside of your home. 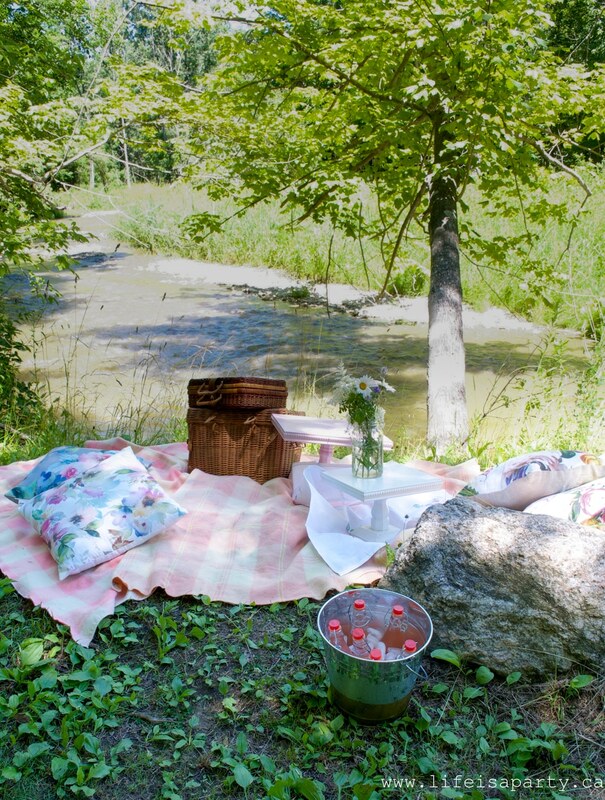 Picnics are the perfect summer solution. 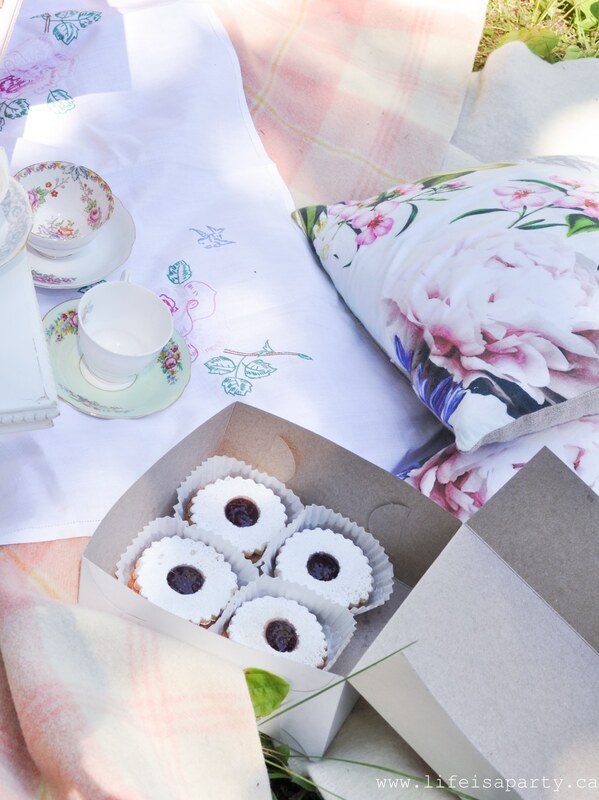 This summer I hope to share a variety of picnics inspired by some of my favourite international cuisine. Some will have lots of homemade treats and recipes, but others will be mostly store bought and much easier to put together. 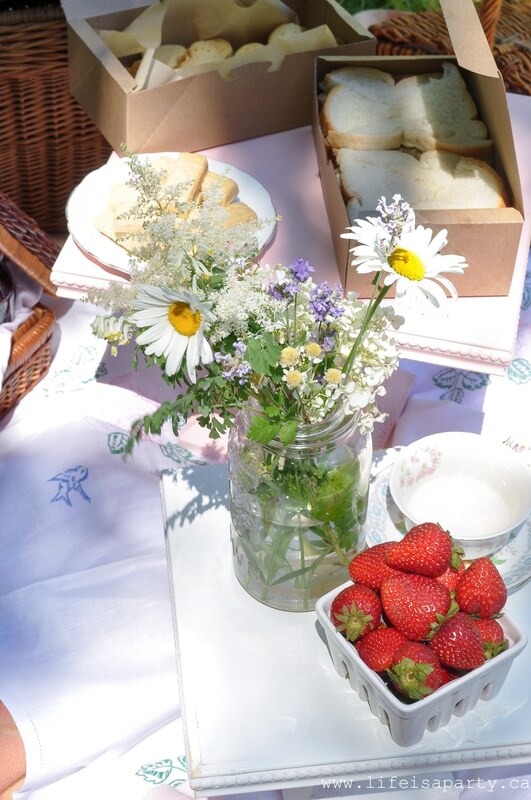 I hope to inspire you -not necessarily to put on a big extravagant picnic -unless that’s your thing in which case send me your photos ;), but more just to get us all connecting with friends and family over food, slowing down, and enjoying beautiful and all too short summer weather. 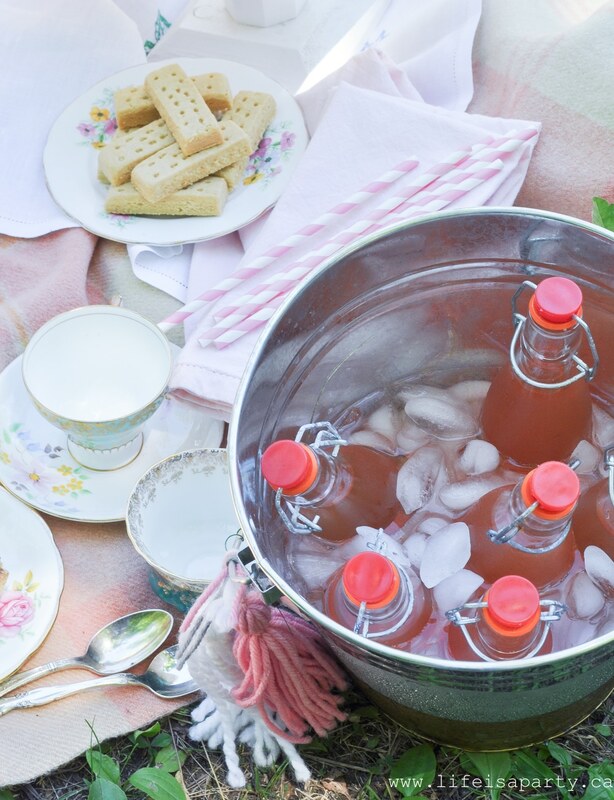 It can be as easy as picking up a pizza and heading to the beach with friends or as fancy as our tea party and everything in between. Hope we’ve left you feeling a least a little inspired. 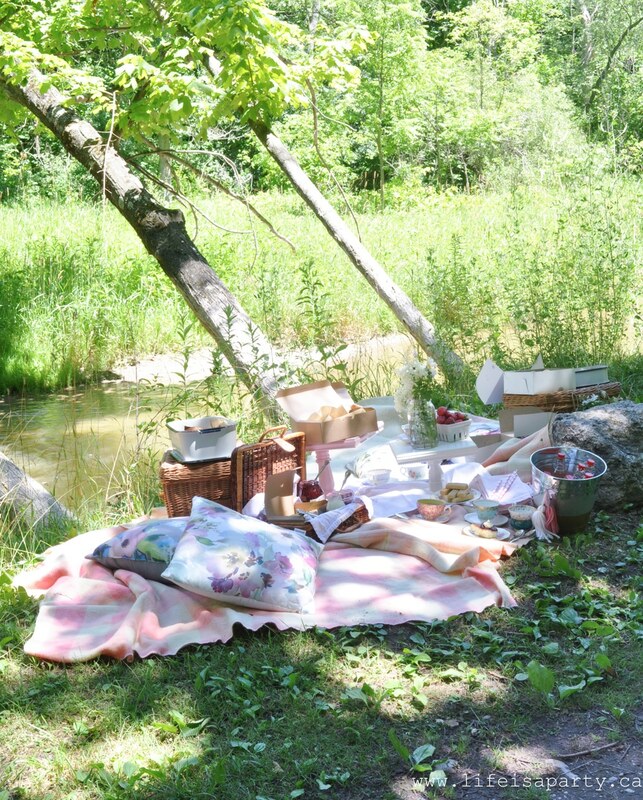 We’ll be sharing a new picnic with you every two weeks, so be sure to look out for them. 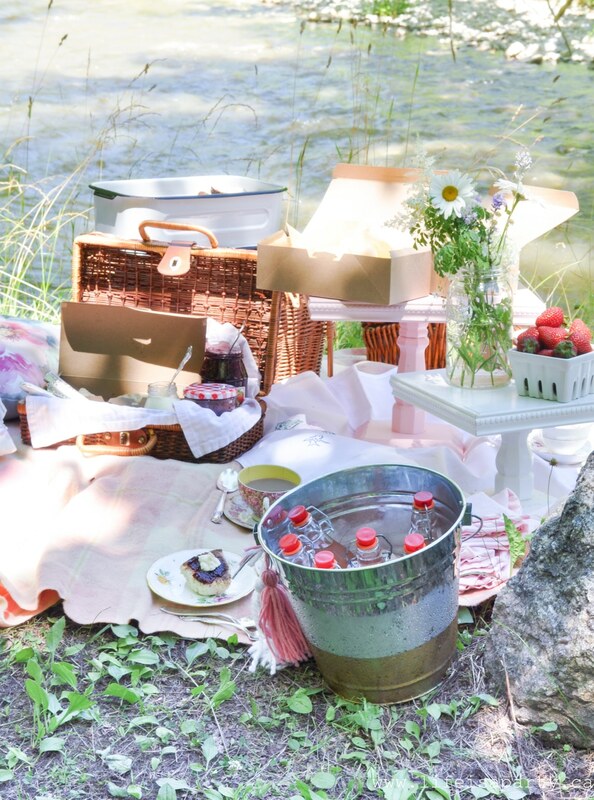 With a British Picnic to enjoy along the river, life really is a party! What a lovely lovely idea. Made me want to be there. I think I will give give it a try. Norma, Thanks so very much. I hope you do have one too, it was so much fun. 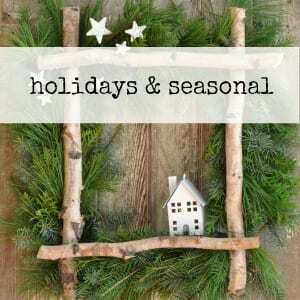 Share a picture with me over on our Facebook page if you do!